How to Fix PUBG Mobile Lite gameplay Lag. HomeHow ToHow to Fix PUBG Mobile Lite gameplay Lag. PUBG Mobile Lite was the solution by Tencent Games for the mid range to low end smartphones. This modded version of the original PUBG Mobile has all the high power consuming features disabled. However the bead news is that some phones still can’t run it as smoothly as it is believed to be made of. I have tried and tested it on my older Nexus 6P device. As it has still a better Snapdragon 810 processor with 3 GB of RAM. I still found PUBG Mobile Lite Gameplay laggy and stuttering or choppy on my phone. So here are some of the most important steps so that the Lighter version of PUBG mobile Lite can get fixed. The first thing you have to make sure of is always check the game server health. This is how you do it. 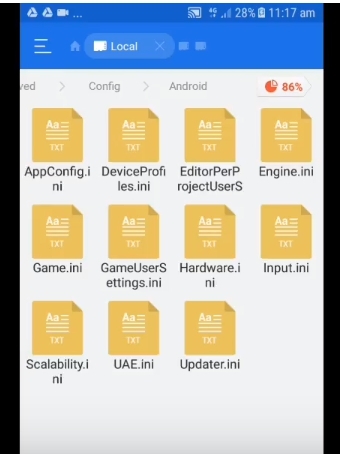 Followed by a detailed guide of adding a custom modified *.ini file inside the PUBG Mobile Data Folder. If you are an android user with a Mid-Range device like, Xiaomi phones, LG K sereies phones, Samsung J, A, Z series phones etc. You must add this file to your devices to get 10x faster Lag free PUBG Mobile Lite game experience. And if you have the High-End android device. You can still add this “UserCustom.ini” file to get better gameplay. Open the PUBG Mobile game. Once loaded, Go in and Sign-in with your Facebook account. On the home screen look at top left corner where Server is written. (As shown in Image). Now tap on server and go for the Europe or Asia server. The Lag issue can be fixed by replacing a modded Usercustom.ini file in the PUBG Mobile Data folder. You have to download the file from the given link below and replace it with the original file. (Or Backup the original file). Here is how you do it. First of all download the ES File Explorer. 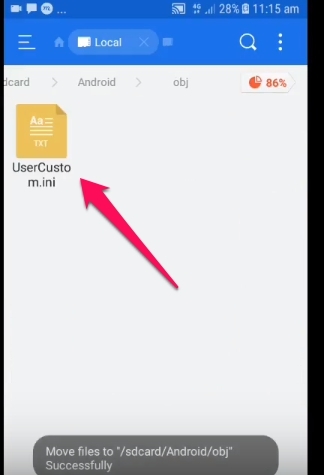 When you found this important UserCustom.ini file you have to cut it and paste it in any empty folder. Now Download this Usercustom.ini from Google Drive Link . SD card > Android > Data > com.tencent.ig > Files > UE4Games >Shadow Tracker > Shadow-Tracker- >Saved > Config > Android > and paste the same file usercutom.ini in this folder. Now simply close everything and head to the PUBG Mobile game. Head to Settings > Graphics and see the changes. That’s it. Hope you like the PUBG Mobile Lite Lag Fix. It is recommended that if you have a low-end device then you might add this file. As it will show Lesser lag and definite high movement in your game. Meanwhile if you are facing any PUBG Mobile Network Error Code then read this.